Unexpected use of textile patterns is becoming increasingly popular among the design set this year. 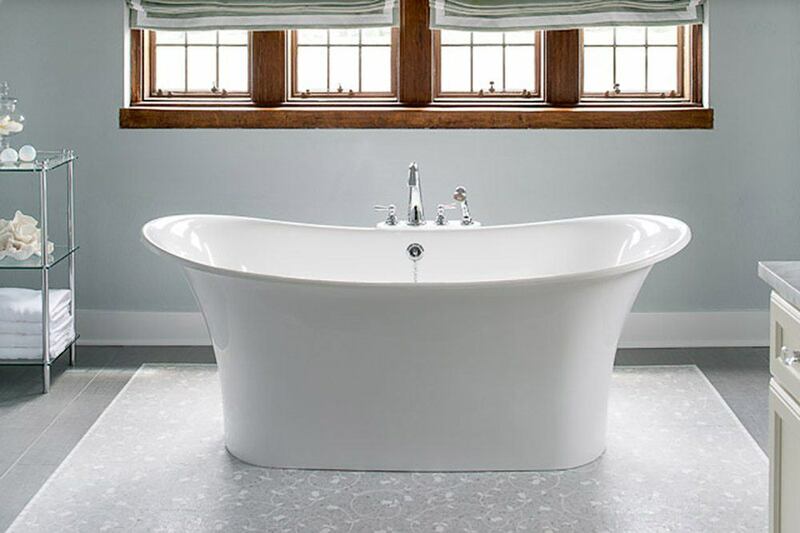 Not to be left out, tile has been given a dose of warmth with the inclusion of fabric look porcelain, stone, and glass. Here at AKDO, we love fabric patterns in tile because of the way they infuse otherwise hard surfaces with a touch of softness and unique personality. These patterns create a range of different tactile effects from warm and cozy, to cool and contemporary, but either way, they’ve been a refreshing departure from the more minimal trends of recent years. The versatility and elegance of these patterns are just one of the reasons why they can be used for so many different applications. The fabric inspired designs are usually made up of marble, mirror, glass, or tile mosaics, meaning there is something to compliment all tastes and interior projects. 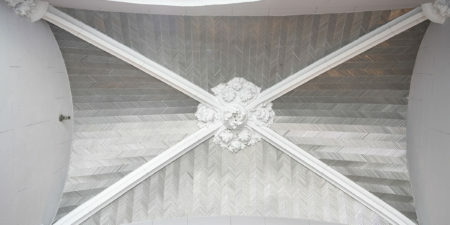 Cloth-inspired tiles call on the same key elements that make some of the worlds most renowned fabrics so loved. For example, Room, our latest line of porcelain tile, nods to the tailored feel of menswear, and utilizes the true-to-life texture of fine textiles to bring the look of warmth and softness to solid surfaces. Fabric patterns pair perfectly with large format tiles, and is a combination that works well with modern spaces, yet manages to create a comfortable, intimate feel. The result is similar to that of wearing a custom-made men’s suit. 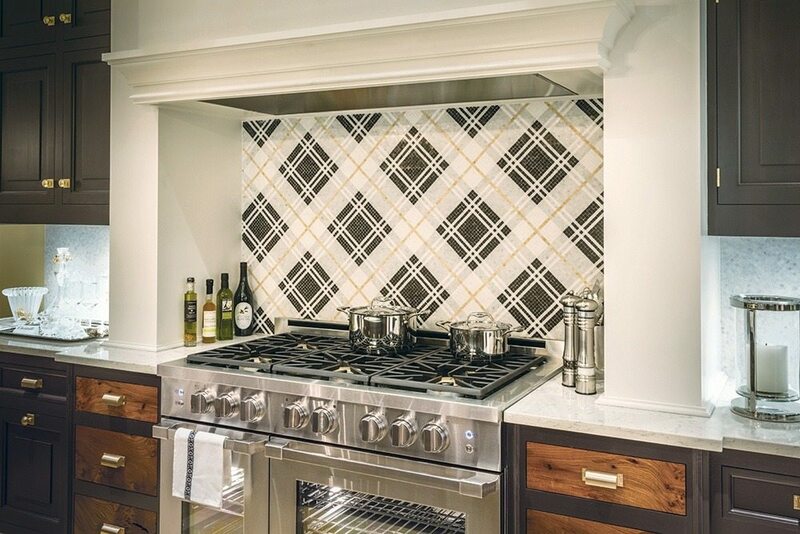 Kitchen design by Christopher Peacock using custom color Balmoral Plaid stone mosaic. Additionally, mosaics prove an ideal medium for bringing home the comfort of well-loved fabric patterns, thanks to their intricate detailing. Here, Christopher Peacock used custom color Balmoral plaid tile to compliment the “hearth” area, creating a stunning focal point that is both functional and chic. When asked what drew him to this pattern, he noted, “It struck me the moment I saw it. I was looking for texture and pattern but I wanted something that was more masculine in. It was dramatic but not overpowering.” And, after all, Tartan never goes out of style. Tiles can also be used to harken the overall essence of something woven, for those who prefer a monochromatic look, but still want to add texture. 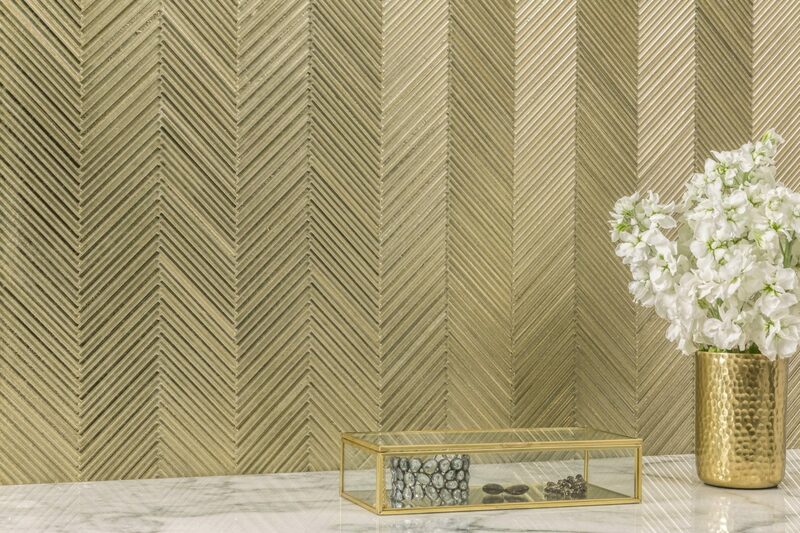 For example, our Textile Glass Collection utilizes intertwined thin glass batons to evoke the sensory appeal of a piece of sheer, shimmering gossamer fabric. 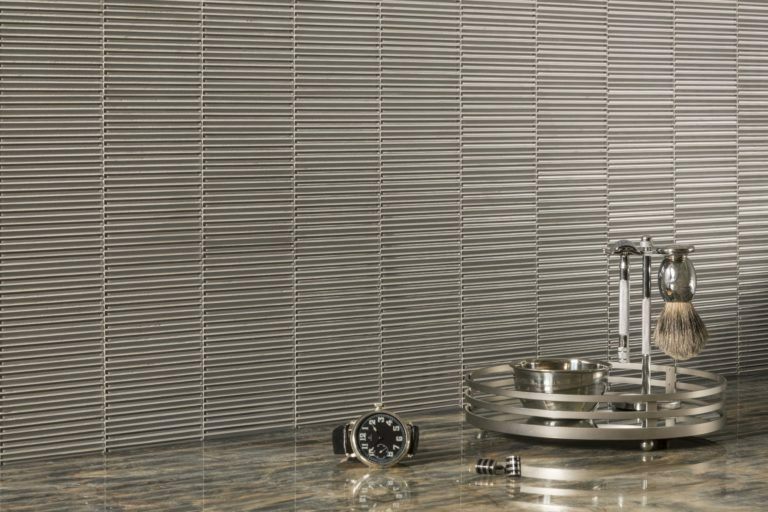 Fabric patterned and textured tile is an ideal way to create dimension within a single color palette, as both the metallic tones and indentations provide the perfect surface off which to bounce and reflect light. Used as a backsplash, a fabric-feeling tile can add a warm, inviting glow to any design. 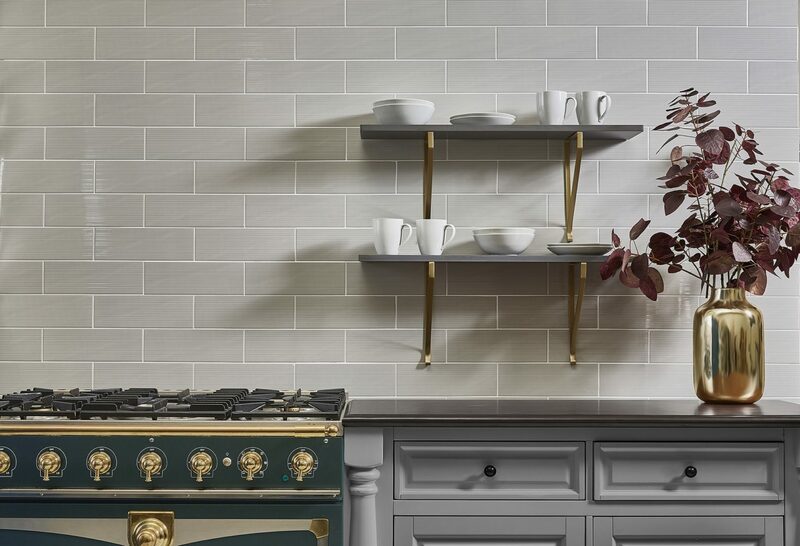 For example, the Impressions Collection by Matthew Quinn takes the classic subway tile shape in an array of solid colors that perfectly complement any bar and backsplash, and gives them multi-dimensional fabric patterns. This instantly adds a sense of drama that wouldn’t otherwise exist with a flat tile of the same shape and size. Here, as seen in the Traditional Home Stately Home By the Sea Show House, lace patterns are used to add a touch of romantic glamour to a bathroom design. The intertwining fields of vines give the design a serene feel, but can just as easily produce bolder designs thanks to a metallic edge. Also, the surrounding porcelain tile has a more subtly textured, fabric appeal, which produces a supplementary warmth to this otherwise cool-toned room. How would you utilize the fabric trend in your designs?